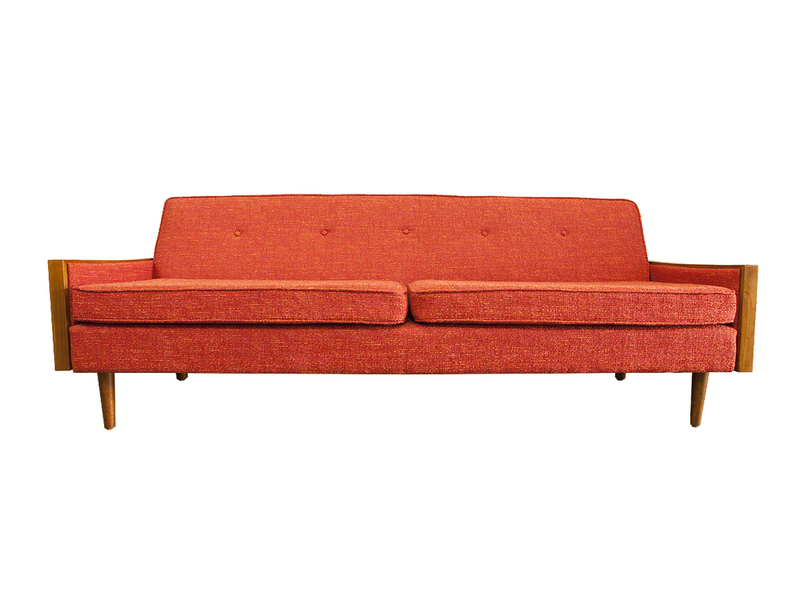 We'd like to officially welcome our newest member of the Casara family and formally introduce you to The Tyler Sofa. Named after founders Henry and Lesa's son, Tyler offers a fuller, more traditional approach to our lineup while maintaining a strong mid-century aesthetic. The overall shape of the profile draws heavily upon the shapes of the time period while the gentle curve in the arm rests offers a unique flourish and softens the crisp linear qualities of the design. 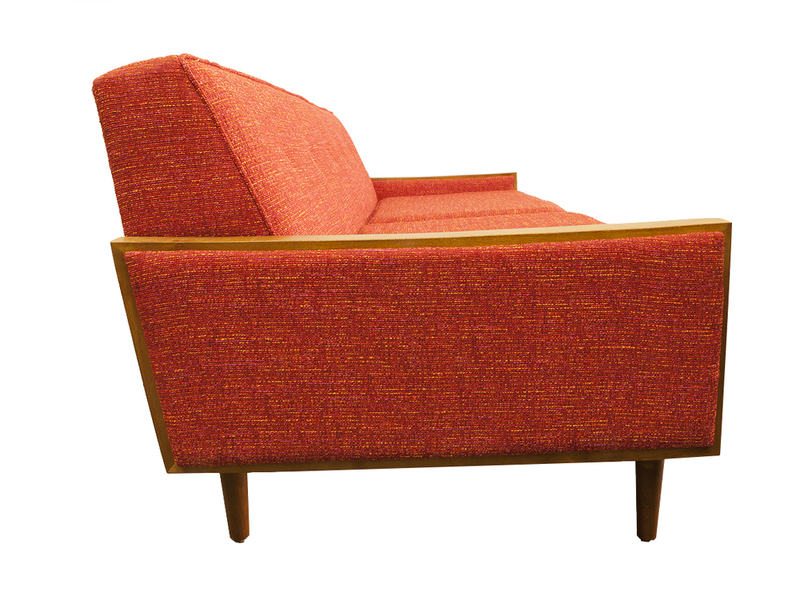 The Tyler is the first of our sofas to offer tufting. They are designed to be very subtle in order to balance both a formal and playful approach. This makes the sofa incredibly versatile, allowing you to dress it up in a formal room or keep things casually hip in a living room, office or den. We consider stylish and thoughtful use of beautiful wood one of our trademarks and we couldn't help but add it into the design of this piece. The subtle use on the arms bookends the piece with a structural elegance and adds strong definition to its mid-century Googie shape. 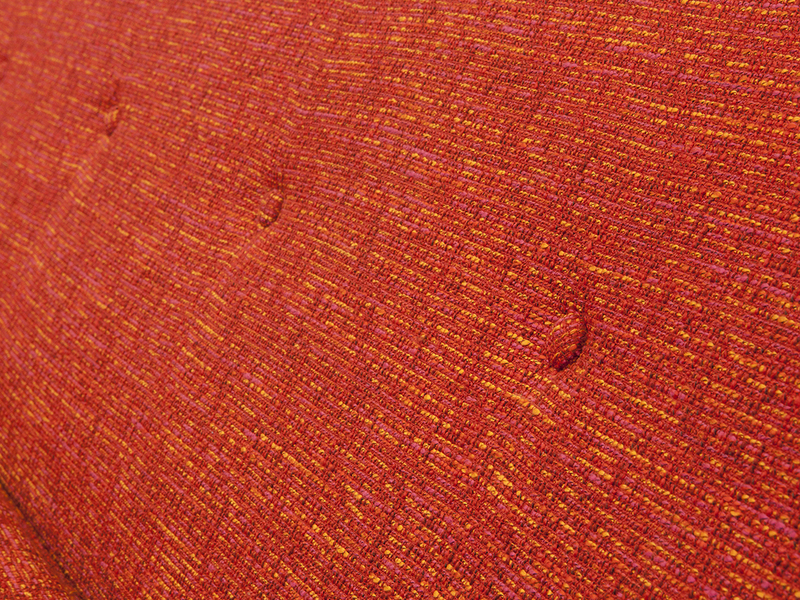 We are currently offering the Tyler for $1375 and you can choose from any of our signature fabrics. You can check it out in our shop here. Thanks for reading and happy hunting!